In October 2010 I was in two minds whether to go or not. And then he sent me this photograph. 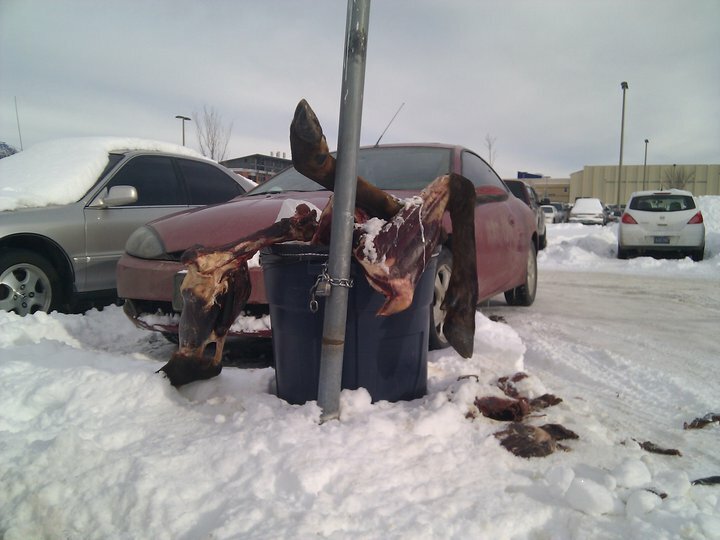 A flayed horse had been left in the waste bin of the car park opposite his office. That morning I called the airline and bought a ticket. This entry was posted in discarded animals and tagged flayed horse, human-animal relations, montana. Bookmark the permalink. Thanks for posting this…knowing it was on in London and not being able to go see has been hard to take. Their transformation into half man half beast is stunning and magical.